Watch Dr. John R. Ross perform a thrombectomy procedure of the HeRO Graft. Choose a Fogarty® (Edwards Lifesciences Corporation, Irvine, CA) embolectomy balloon sized for the artery (3-4mm) and insert past the arterial plug. Inflate the balloon, “pop” the arterial plug, then pull back to the introducer site. 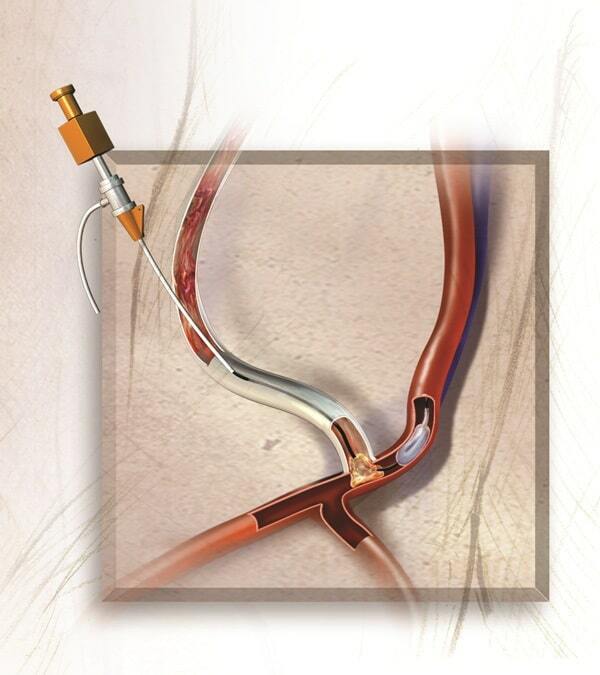 Extract the arterial plug, then confirm flow and patency throughout the device. Ultrasound may be used to assess flow. Reconfirm placement of the device connector and Venous Outflow Component tip via fluoroscopy. Contact Customer Service at 800-356-3748 with device-related or technical questions and tell us about your experience by using our Contact Us form.